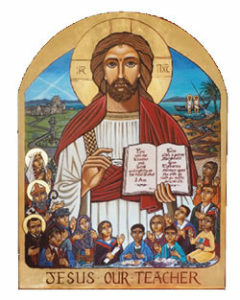 St. Mungo’s is a community of Faith and Learning committed to Gospel values. We gather in your presence and ask that you bless us with the knowledge and strength to overcome any challenges that come our way. Enlighten our minds so that Christ may shine through us in all that we do. Support us to be faithful servants of God’s Holy Church and be filled with Christ’s love. St Mungo pray for us. St Mungo’s High School was awarded £78,600 by the Scottish Government from the Pupil Equity Fund. Staff, pupils and parents were consulted on how we should spend the money. The following information provides information on where the money was spent in session 2018-19 and the impact that this is had on the pupils on St Mungo’s. There is no hard-and-fast rule book for raising children but it’s surprising how many familiar parenting problems have very simple solutions. From infants’ sleeping difficulties to toddler tantrums; fighting at school to a teenager’s defiance; even the struggle to set up healthy eating patterns or a regular homework routine — the issues you face aren’t peculiar to your family. In fact, they’re commonplace. That’s why Triple P can help. Triple P is one of the few parenting programs in the world that’s based on evidence from clinical research. For more than 30 years, Triple P’s easy-to understand and practical strategies have been shown to help families in all types of situations. Parents can choose from tip sheets, books, DVDs, seminars, courses or one-on-one sessions to arm themselves with the tools that can make parenting a little less ‘trial and error’. And because Triple P works in the majority of cases, Triple P has the seal of approval of parents, practitioners and experts internationally. MS pupils- study immersion days for all levels will be held on Monday & Tuesday of next week. Please come in if you have any questions. The only period that isn’t ideal is Tuesday period 3 when we are very busy. St Mungo’s High School was selected by Microsoft as a 2018-2019 Microsoft Showcase School for their excellence in demonstrated student outcomes resulting from its commitment to educational transformation, driven effectively by Head Teacher Mr Stephen Phee. St Mungo’s High School provides both inspiration and an opportunity for all community members to see and experience the future of digital transformation in education. St Mungo’s joins an exclusive community from around the world, recognized and celebrated for their educational transformation which includes vision and innovation in teaching, learning and assessment, computational and critical thinking, creativity and collaboration and a willingness to promote a growth mindset among educators and students. As a Showcase School, St Mungo’s will work closely with Microsoft to lead innovation in education transformation and communicate an education transformation vision, enabled by technology, through our commitment to host and mentor other schools in the local community and around the globe.